Allow the (home-made) chicken broth to cool down. The remaining fat will harden and rise to the surface. This fat can be removed effortlessly from the broth with a skimmer or a normal spoon. A natural, fat-free vegetable broth can also be obtained by cooking vegetables in some water, and adding a small amount of pepper and salt . Place a saucepan on medium to high heat. Place all the ingredients in a food processor and puree them, until you have the desired consistency. Pour the mixture into the saucepan and bring it to the boil. Reduce the heat, cover it and allow the soup to simmer for 20 – 30 minutes. Serve. Tip: For the cooked chicken, I use the chicken used in the preparation of the broth. Form the minced beef into meatballs. Boil water (enough for this meal). Place the meatballs into the boiled water and leave to simmer. Cut the vegetables into pieces and add them to the mixture. Do not boil, and add pepper and salt to taste. Fill a saucepan with water and bring to the boil. Add the chicken and the herbs and allow it to cook for a full 20 minutes. Take the cooked chicken out of the pan; either serve it or put it in the refrigerator for later. Sieve the bay leaf and the herbs from the broth. Allow the broth to cool down to room temperature and then skim off the fat (if it is present). Put the broth in the refrigerator and scoop up the remaining fat (if present), once the broth has cooled down. Store the broth in the refrigerator and/or freeze it for later use. Tip 1: You can add permitted vegetables, such as 3-4 sticks of celery (I mostly use the ends, which I don’t eat) and an onion to enhance the flavour. Sieve the broth after cooking. If you want to make a simple vegetable broth, omit the chicken completely and use the celery, onion and herbs. Alternatively, add slices of beef to make a beef broth. Place a non-stick saucepan on a medium heat. Add the onion and the garlic and briefly fry. Stir in the sweeteners and cook for 10 – 15 minutes, until the onion is caramelised. Add the beef broth and bring to the boil. Reduce the heat, cover the ingredients and leave to simmer for 20 minutes. Add black pepper to the soup before serving. Tip: This recipe makes generous servings of soup. I tend to divide the soup into two portions: one portion as a midday meal, and the remaining portion in the late afternoon or evening as a tasty snack. Today I longed for a hearty bowl of soup. So I tried to devise a soup recipe that satisfies all the dietary guidelines. It worked out at precisely the right quantities, and the flavour was excellent. Another way to enjoy those delicious tomatoes. Preheat the grill. Halve the tomatoes and place them on a non-stick baking sheet, ensuring that the flat side points downwards. Grill the tomatoes for 5-10 minutes, or until the skins separate and they are lightly browned. Remove the skin and the pips. Heat approx. 60 ml of water in a medium-sized saucepan at medium heat. Add the onion powder and allow the content to boil for 5 minutes. Add the garlic and allow to boil for a further 3 minutes. While the liquid is boiling, place the tomatoes in a food processor or in a mixer and puree into an even paste. Stir the tomato puree in the saucepan and add the rest of the water (approx. 60 ml). Bring everything to the boil, reduce the lower heat and simmer for 5 minutes. Stir in the basil and season with pepper and salt. Tip: I tend to roast several tomatoes at the same time, leave them to cool before placing them in a freezer bag. When subsequently preparing tomato soup (or sauce, salsa, etc. ), I simply take the required quantity of tomatoes, leave them to defrost and prepare them according to the recipe (naturally, without roasting them again). Place 2 tablespoons of fat-free broth in a wok – on a medium heat (not hot!). Add slices of mushroom, as required, tomatoes, onions, pieces of celery sticks and red pepperoni. Braise all the ingredients until they are half cooked. Add the beaten egg and voila, you have a delicious omelette! Cut all ingredients into large pieces. Slide the vegetables onto large, safe skewers and place on the grill. You can of course also add chicken or beef – or have a delicious Gamba. The vegetable skewers can also be prepared in a steamer. You can eat as many as you wish. Place a pan on a medium heat. Break off the woody end of the asparagus and discard it. Break the asparagus into 2-3 pieces. Put the garlic and the ginger in the pan and fry for 2-3 minutes. Add the asparagus and the water. Allow everything to boil for 5 minutes. 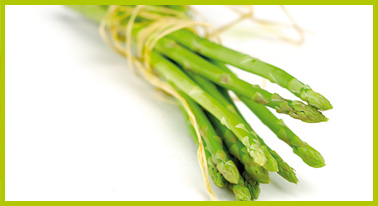 Take the asparagus out and season with lemon peel and pepper before serving. Puree the beef and mix the small, chopped piece of onion, as well as the salt, pepper, basil and garlic. Fill the pepperoni and place in the oven for 45 minutes. You can also use tomatoes instead of pepperoni (shorter preparation time). Mix the shrimps with the dill and the lemon juice. Season to taste with pepper and salt and place the shrimps in the refrigerator. Cut the caps from the tomatoes, hollow them out and fill the tomatoes with shrimp mixture. Mix all ingredients (apart from the cucumber) together. Add the cucumber. Place the uncovered pan in the refrigerator. The salad tastes best when left in the refrigerator for at least one hour before serving. Mix the herbs and rub into the chicken. Grill the dish until the meat is no longer pink. Serve on a bed of spinach or green leafy vegetables. Place a pan on medium heat. Add the pressed garlic and a tablespoon of water/broth in the pan. 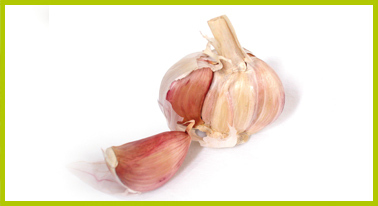 Sauté the garlic for 2-3 minutes, avoid burning. In an emergency, add more water/broth. Increase the temperature to medium / high. Add the Tatar and sauté for approx. 5 minutes, until brown. Add all the herbs and fry for 3 minutes. If necessary, add more water/broth. In the meantime, cube a half tomato and puree the other half of the tomato in a food processor or a mixer. Add the seasoned tomato, the puree and the remainder of the broth in the pan. Switch to a medium to low temperature and simmer until the desired consistency is reached. Tip: I mixed all of the herbs together, in a small bowl, so that I can add them at the same time. This dish is suitable for freezing. I prepared a large dish, and froze the remainder in individual portions. Serve the vinegar, sweetener, onion, garlic, dill, salt, pepper and the (skinned) tomatoes in a measuring jug. Puree all ingredients with a hand-held blender. Store this dressing in the refrigerator. Add the chives just before serving. Place 125 ml of broth in a small saucepan and bring the broth to the boil. For a more intensive taste I usually add some salt, pepper, thyme, sage or chicken seasoning, etc. Add spices as required, to suit your taste. Tip: I pour this liquid over the cooked chicken, with which I make my broth. This provides more taste, because cooked chicken mainly tastes fairly insipid. Fill a small saucepan with 500 ml of water and bring to the boil. Prick the skins of the tomatoes in several places with a tomato knife. Blanch the tomatoes for 1-2 minutes in the boiling water. Place the tomatoes immediately into iced water and to cool, and drain the water. Peel the skin from the tomatoes and discard. Place a small, non-stick saucepan on a medium to high heat setting. Squeeze the tomatoes (remove the stalk) with your hands and place in the saucepan for a coarse-textured sauce. Puree the tomatoes in the mixer or in a food processor and place in the casserole for a silky-smooth sauce. Add garlic, onion powder, salt and pepper. Bring the ingredients slowly to the boil and set the heating control to a lower setting; cover the casserole and simmer for 15 minutes. Keep stirring, to prevent the tomatoes from burning. Turn up the heat. Add the parsley, more garlic and basil. Leave to boil for a further 5 – 10 minutes, stirring constantly. Add a few tablespoons of water, until the desired consistency is achieved. I usually add 3-4 tablespoons. Put the pan on medium to high heat. Sprinkle the celery salt over the beef and fry it on both sides until brown. Place the steak in a casserole dish and cover it with the garlic, the celery stalks, the onion rings and the diced tomato. Pour the beef broth over the contents. Do not stir! Turn to low until the casserole is cooked. Pour gravy over the dish before serving. Preheat the oven to 220 ºC. Mix all the ingredients in a bowl with some water or egg white and form balls (about 6-7) around 2.5 cm in diameter. Place the balls in a grill dish or on a non-stick baking sheet and bake for 10 minutes. Turn them once half way through baking time. Tip: I tend to use a glass grill dish for this dish, as this prevents the minced meatballs from sticking. If you prefer slightly browner meatballs, grill each side for an additional 1 – 2 minutes. The cooked minced meatballs can also be frozen in a freezer bag and preheated before serving. This provides a delicious, quick meal! Pour the vinegar into a small bowl. Insert the steak and cover it with the vinegar. Mix the rosemary, garlic and chilli flakes and some of the homemade tomato sauce in a small bowl. Rub the steak on both sides into the mixture. Place the steak in a small grill dish, cover it and leave to stand for four hours, or in the refrigerator overnight. Grill the dish, until it is thoroughly cooked. Tip: I roast several tomatoes at the same time, allow them to cool and then freeze them in a freezer bag. When I want to make tomato soup (or tomato sauce or salsa), I take the required number of tomatoes, leave them to thaw and prepare them according to the recipe (without roasting them again, of course). Preheat the oven to 175 ºC. Warm a non-stick pan on medium heat and add the onion. Fry the onion with constant stirring for 5 to 10 minutes, until soft. Place the onion in a glass grill dish and place the chicken on top. Squeeze the lemon over it and sprinkle with pepper. Evenly distribute the cloves of garlic around and on the chicken. Cover well with a lid or aluminium foil and cook for 30 – 45 minutes, or until the chicken is no longer pink. Note: You do not require the onion as a vegetable to eat (it chiefly serves to add to the taste of the dish). Serve the chicken with vegetables of your choice. Place a pot on medium heat. Sprinkle pepper on the chicken. Place it in the pot and cook while stirring for approx. 5-10 minutes, until brown on all sides. Add the garlic and cook for one extra minute. Squeeze the juice of the orange quarters over the chicken. Peel the orange and cut into pieces. Add the pieces of orange, ginger, lemon juice and basil, and continue to stir. Place the lid on the pot and leave to simmer for 20-30 minutes. Note: This menu contains your recommended portion of meat and fruit for this mealtime. Preheat the grill. Grill one side of the chicken for 5-10 minutes, until it is reasonably brown. Place the remaining ingredients in a small bowl and mix well together. Spoon the mixture onto the chicken, turning it around and covering the other side with the mixture. Grill the remaining side for 5-10 minutes or until it is no longer pink. Remarks: This chicken remains juicy and moist, and retains its full flavour. Enjoy your meal! Place the onion, parsley, oregano, basil, rosemary and fennel seeds in a food processor or a mill and grind together. Place the herbs and all other ingredients, other than the seafood and the Tabasco sauce, in a saucepan and bring to the boil. Reduce the heat, place the lid on the saucepan and leave to simmer for 30 minutes. Add the fish, cover, and return to the boil. Reduce the heat again, replace the lid and leave to simmer for a further 5-15 minutes. Remove the bay leaf. Add spices just before serving, together with a little Tabasco. Remarks: I tend to chop the tomato slices very finely, and add 2 tablespoons of sugar-free natural tomato sauce. This gives the dish the delicious smell of tomatoes. I ate this meal this evening and it was delicious. The fish melts on the tongue. Enjoy your meal! Place a pan on medium to high heat. Cut the fish into mouth-sized pieces and place them into a resealable bag. Add the small sliced onion and the Cajun spices mixture and sprinkle over the fish. Cook the onion and the fish with the Cajun spices mixture in the pan with water. Cook for 3 to 4 minutes. If the water starts to steam, add a little more as required. Add the small chopped tomato and cook for a further 5 – 10 minutes, while stirring continuously, until the slices of tomato are soft and the dish resembles soup. Place the fish in a small bowl. Add garlic, black pepper, salt, cumin and turmeric and cover both sides with these ingredients. Leave the fish uncovered for at least one hour in the refrigerator to marinate. Preheat the oven to 200 ºC. Lay the fish in a non-stick baking dish and cover with the marinade. Cook the dish for 10 – 20 minutes (depending on thickness) until the fish falls apart. Before serving, squeeze the lemon over the fish. Preheat the oven to 200 ºC. Puree the coriander, garlic and Sambal Oelek in a food processor. Add as much water as required to get the desired consistency. Place the fish in a grill dish or on a non-stick baking sheet, sprinkle lemon juice over the fish and cover with the coriander mixture. Cook for 10 – 20 minutes (depending on thickness), until the fish falls apart. Garnish the dish before serving (as required) with the chilli flakes. Heat the wok (or pan) on the cooker, until it is hot enough to add the ingredients. Cut the vegetables into small pieces (with the exception of the salad leaves) and fry them while continually stirring. Add the Gambas last. Evenly distribute the salad leaves on the plate, and place the Gambas on top of this bed. Add a few Soya sprouts to taste. Place a non-stick pan on medium heat. Add 3 tablespoons of water, the garlic and the shrimps. Cook for 5 minutes or for as long as required for the shrimps to turn pink. (If necessary add water.) Squeeze the juice of the lemon over the contents and add the spinach. Season with pepper and salt. Do not cover, and cook until the spinach has reduced, then serve. Place the cooked shrimps in a food processor and chop them fine. Use a sharp knife for this purpose. Mix the finely chopped shrimps, parsley, lemon juice and salt and pepper in a small bowl. Place the shrimps, uncovered, in the refrigerator for half an hour to one hour. Before serving, cut the cap off the tomato and hollow it out. Chop the inside of the tomato finely and mix into the shrimp mixture. (remove the pips if so desired). Now fill the tomato with the shrimp mixture. Add spices to taste before serving, and add a few drops of Tabasco. Tip: This meal is also delicious when served with fried fish. Peel the orange and place the pieces in a mixer. Add a handful of ice cubes and cut them into smaller pieces. Add the vanilla essence and the sweetener and mix the ingredients until the desired consistency is reached. Add water if necessary. Tip: After preparation, place this drink in the freezer compartment for around one hour. 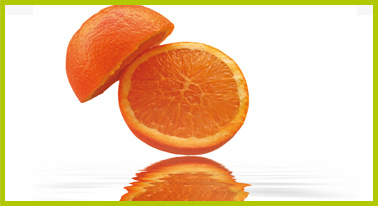 Treat yourself to an orange sorbet, which you will certainly enjoy. Heavenly! Put all the ingredients into a mixer and puree, until the desired consistency is reached. Place the drink in the refrigerator until cold, or serve with ice cubes. Pre-heat the oven to 175 ºC. Remove the apple core, leaving approximately 2.5 cm on the bottom end. Place the apple in a grill dish. Fill with ¼ teaspoon of cinnamon, ? teaspoon of ground clove, a pinch of nutmeg and 2 tablespoons of water (the water should almost reach the top of the apple; change the quantity if necessary). Pour over 125 ml of water with ½ teaspoon of cinnamon, ¾ teaspoon of ground clove and ½ teaspoon of nutmeg. Bake the apple for 45 minutes to one hour.